Patents give individuals and entities the exclusive right to make and sell their inventions. If you invested considerable money and effort developing an invention, would it be fair for someone else to simply copy and sell it? The law says it's not. But what if that invention was a vaccine for cancer? Biotechnology is a form of research and development. It uses living things, such as biological systems and organisms, to make products. When a significant medical treatment is developed by a commercial entity, should they be able to patent that treatment, making it available only through them and possibly charging a high price for access? If so, what if the treatment is too expensive for everyday people to buy? If not, what incentive would there be for commercial entities to invest in the development of medical treatments and vaccines? If patent law is applied in a different way for medical discoveries than it is for other technologies, will the discoveries ever be made in the first place, and even if they are, will they be translated into products that benefit healthcare consumers? Professor Dianne Nicol, Director of the Centre for Law and Genetics, is working hard to help society answer these questions. 'The question of how to regulate emerging biological technologies, particularly genetic technologies, is an incredibly complex one. There is no clear right or wrong,' said Professor Nicol. 'The discoveries made by genetic scientists would not be developed into usable tests and treatments without commercial partners. Research and development requires enormous investment and there must be some commercial return for that investment. Professor Nicol is actively engaged in discussions with law reform agencies and government, providing recommendations on how to navigate the biotech issue to achieve the right balance. 'The law is developing on this issue now. The patent on the test for the BRCA gene, for example, that is linked to higher susceptibility of breast cancer, is currently being challenged in courts in the USA and Australia. Professor Nicol's research can then be used to help inform decisions by government and law reform agencies. For example, Professor Nicol's input helped to drive the introduction of an exemption in the Patents Act allowing use of patented inventions for experimental purposes. Professor Nicol is also interested in increasing the public's understanding around the complexity of biotech patents so that everyone can benefit in the long run. Dianne Nicol is a Professor of Law and Chair of Academic Senate. Professor Nicol took on the role of acting Provost between November 2017 and June 2018. She was admitted as a barrister and solicitor to the Supreme Court of Tasmania and the High Court of Australia in 1998 and spent some time in legal practice. Her research history includes both law and science. Her current research focuses primarily on the regulation of personalized medicine, biobanking, genome editing and other emerging technologies, together with commercialisation of biotechnology and patenting of biotechnological inventions. Professor Nicol is currently the lead chief investigator on two Australian Research Council funded projects: Genomic Data Sharing: Issues in Law, Research Ethics and Society; and Reforming the Regulatory Environment for Innovative Health Technologies. Dianne began her academic career as a scientist, receiving a PhD from Dalhousie University in Canada in 1987. Her research interests at the time focused on cell and developmental biology, with particular focus on the development of simple nervous systems. Dianne subsequently re-trained in law, graduating with a research-based LLM in 1997. The title of her thesis was: Patenting of Human Genetic Material in Australia. She commenced work as an academic at the University of Tasmania in 2000 and was appointed as Professor in 2009. Dianne's teaching focuses on primarily on the interface between technology and the law, with particular focus on intellectual property law. Her research interests are closely aligned with her teaching interests. She has served as Deputy Dean of the Law Faculty and Associate Dean, Research. In January 2013 Dianne took on the role of Chair of Academic Senate at the University of Tasmania, and in February 2015 became the Director of the Centre for Law and Genetics, after having served as one of the Deputy Directors since the inception of the Centre in 1994. Chair, Academic Senate. This position brings with it membership of a large array of other University committees, including all Senate committees, most senior management committees and University Council. Dianne has a broad range of administrative expertise. In her role as Chair of Academic Senate she has leadership of the peak academic body at the University. Her role as acting Provost was one of senior leadership of the University. In the research context she has been the lead chief investigator on three Australian Research Council Discovery Projects and second chief investigator on a number of others. She currently leads two new Discovery Projects. Dianne took on the directorship of the Centre for Law and Genetics in early 2015, after having secured strategic research funding for 2015-2016 (and a further year of funding in 2017) to expand the reputation of the Centre by increasing staff and postgraduate numbers, engaging more broadly across the University and externally, and establishing formalised collaborative structures. 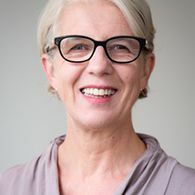 Dianne has held the positions of Deputy Dean, Associate Dean Research and Graduate Research Coordinator in the Law Faculty and Deputy Dean of Graduate Research. Dianne has a minor teaching role at present while she continues in the role of Chair of Academic Senate. Prior to taking on this role she was primarily involved in teaching elective subjects to final year undergraduate law students. Her subjects revolved around the interplay between technology and the law, including contract law, tort law, property law, privacy law, intellectual property law, international law and human rights law. Dianne has also been involved in teaching non-law students, particularly in biomedical science, information and communications technology and journalism. She have also taught an advanced patent law subject to master of laws students at the University of Queensland. She was responsible for design of all of these units. From 2009 to 2012 Dianne was a member of the Law Faculty's Curriculum Review Committee. This committee took carriage of a significant overhaul of the undergraduate Bachelor of Laws degree. In Dianne's field, the most prestigious forums for orally presenting research findings tend to be small expert workshops rather than large conferences. In the past five years Dianne has been invited to attend fully funded international workshops in the USA (2014), Italy (2010), the UK (2010, 2012) and Switzerland (2015) as well as a number in Australia. These workshops often result in tangible outcomes including book chapters and articles. In addition, meetings of this nature have greater capacity to influence the development of policy and practice than larger non-specialist conferences. For example, Dianne was invited to attend the Hinxton Group meeting Proprietary Challenges in Stem Cell Research at Manchester University in 2010, which resulted in the Hinxton Consensus Statement on Policies and Practices Governing Data and Materials Sharing and Intellectual Property in Stem Cell Science (24 January 2011). Dianne has hosted four expert workshops at the Centre for Law and Genetics. The first, held in 2011, brought together experts in biotechnology patenting and innovation. The second, held in 2014, brought together experts on the regulation of personalized medicine. The third and fourth, held in 2016, focused on the legal, ethical and social issues associated with genome editing and transfer of biological materials. Each provided an opportunity for Dianne's research team to present their findings and seek guidance on future research directions. Dianne's unique contribution in her field is her capacity to marry empirical research with law and policy reform in areas of new and emergent technology. Policy makers are increasingly looking for sound and objective evidence bases to guide law and policy reform, rather than being exposed to anecdotes and lobbying by groups with vested interests. Dianne's empirical research on the Australian medical biotechnology industry remains one of the few sources of evidence to assist policy makers in that area. Similarly, her research on public attitudes towards, and public trust in genomics and personalised medicine provides a vital contribution to the evidence base for reform of the framework for regulating this new and rapidly developing area of medical technology. Dianne's research is cross disciplinary, in that it crosses the boundaries of law, biomedicine, economics, innovation studies, social science and technology. Dianne's research aligns to three of the University's research themes: Better Health; Creativity, Culture and Society; and Data, Knowledge and Decisions. As much of Dianne's research to date has focused on best practice regulation and governance of human genomics and stem cell technology, it clearly falls within the Better Health theme. The doctrinal aspect of her research examines legislation, case law, international agreements, ethical guidelines and policy documents. She assesses the appropriateness of these current instruments to regulate and facilitate innovation in emergent technologies. The fact that much of her research feeds into policy development and law reform brings it into the Creativity, Culture and Society theme. Dianne's doctrinal analysis is accompanied by empirical studies, which assist in ensuring that law and policy reform is evidence-based, bringing her research into the Data, Knowledge and Decisions theme. There are two components to the empirical aspect of her research. Firstly, she examines empirical data on innovation in biotechnology and other emergent technologies through analysis of company and public sector websites, annual reports and other public documents, surveys, interviews, patent databases and other sources of information. Secondly, she researches public attitudes towards emergent technologies through public opinion surveys, interviews and focus groups. In 2013, Dianne joined with colleagues at the Centre for Law and Genetics and Menzies Institute for Medical Research and other international experts to hold a deliberative democracy event to assist in understanding community attitudes and concerns relating to biobanking, with specific focus on the establishment of a Tasmanian biobank. During the past five years, Dianne has cemented her formal research collaborations with Australian colleagues at the Australian National University, Melbourne University and Swinburne University and international colleagues in Japan, Canada, Belgium, Spain and the UK. Her research projects all include a number of international collaborators. For example, her material transfer agreement project has collaborators from Canada and the US. Dianne is named (non-CI) co-investigator on a $4 million Genome Canada grant awarded to Associate Professor Tania Bubela and other colleagues in January 2013. She is a participant in the ELSI2.0 research network and the Regulatory and Ethics Working Group of the Global Alliance for Genomics and Health. Material Transfer Agreements and Open Science in the Genome Era. This project examines the role of material transfer agreements in facilitating ethical, efficient and effective exchange of biological materials within Australia and internationally. The Age of Personalized Medicine: Regulatory Challenges for Australia. The aim of this project is to examine a number of aspects of personalized medicine in Australia, including: identifying ethical, regulatory and social challenges; assessing benefit sharing and public trust issues; evaluating and making recommendations on regulatory and governance measures needed to ensure best practice and highest ethical standards. Dianne publishes in a variety of forums. Because of the cross-disciplinary nature of her research, she publishes in peer reviewed journals in law, social sciences and biomedical science. Generally she aims to publish in highly ranked journals. For example, one recent law article was published in the Federal Law Review, which is in the small cohort of highly ranked Australian law journals, and one of her science-related articles was published in Nature Biotechnology, which has a current impact factor of 39.08. She also contributes chapters to specialist books in her research area. 1. Law reform submissions. During the past ten years she has made 18 submissions to public inquiries and been invited to provide oral evidence on 4 occasions. 2. Reports on empirical research findings. One of the features of Dianne's research is the creation of an evidence base to support law and policy reform. In addition to publishing mainstream academic articles and book chapters, she had used the Centre for Law and Genetics Occasional Paper series to publish detailed findings from her research. 3. Consultancy reports. Dianne has co-authored two major reports resulting from government consultancies. The first, the Biobanks Information Paper (2010), was commissioned by the NHRMC in order to provide information relevant to the establishment, management and governance of biobanks in Australia. The second, the Pharmaceutical Patents Review Report (2013), was commissioned by the federal government in 2012 to determine whether Australia's patent system is effective in securing timely access to competitively priced pharmaceuticals. 4. The courts. Another forum for presenting Dianne's research outputs in law is in the courts. One of the most significant legal cases in her area relates to validity of patents claiming rights to genes associated with breast cancer. She co-authored an amicus brief with other leading patent scholars when the case came before the US Supreme Court in 2013. Together, Dianne and her colleagues at the Centre for Law and Genetics have a very successful history of securing grants with the Australian Research Council. They have achieved an overall success rate of 90% through the ARC's Discovery Project funding (ie 9 out of 10 applications). Aside from a one-year gap in 1998, the Centre for Law and Genetics team have been funded continuously since 1995. They have also held an ARC Linkage International research grant and have had success with NHMRC funding. The Centre's team played a significant role in the 2012 ERA 4 ranking for the law discipline at the University of Tasmania. The National Health Genomics Policy Framework was released in 2018 with the goal being the development of a collaborative and co-ordinated approach to integrate genomics into the delivery of healthcare in Australia. A recognised and significant challenge is how to deliver this in the most efficient, equitable, and effective way in regional and rural sectors where there are recognised unique challenges distinct from those in our larger metropolitan tertiary healthcare settings. Integration of genomics into healthcare provision will impact all subacute chronic conditions with specific implications for education and prevention, selection of effective therapies, patient management and ongoing followup. Although there are multiple areas to tackle in the implementation of the National Genomics framework, one of the key undertakings will be to address the needs of the healthcare workforce and their engagement in the development of appropriate pathways for delivery. Genetics and genomics is set to become integral to the management of all health conditions, with many aspects deliverable in the sub-acute sector. To provide advice to IP Australia on whether a comprehensive economic analysis of the impact of the High Courts decision in DArcy v Myriad Genetics Inc on the cost of genetic testing in Australia, is warranted. The aim of this project is to generate? "genomics hub" building on current research expertise, laboratory facilities, analytical capabilities, by providing a co-ordinated administration hub and core genomics reference resource. The Menzies has a strategic focus on utilising the unique features of the Tasmanian population for health research Including genomlcs to address the burden of disease in Tasmania. A/Prof Dickinson's team has attracted nationally competitive funding to build expertise, bioinformatics analysis skills in genomics, a laboratory facility equipped with next generation sequencing technology and a computing facility. The funding requested will address two immediate needs a "genomics hub" co-ordinator, anda Tasmanian reference genome database.This will facilitate expansion of genomics research in Tasmania, by providing the necessary foundation for leveraging external funding, providing world-class training opportunities for students and importantly will position the University to keep pace internationally in the field of genomics. Research paradigms are changing rapidly in the Genome Era. Open access databases are increasingly popular and are required by public funding agencies. The role of material transfer agreements (MTAs) in this open access era is not clear. This project aims to assess the extent to which MTAs facilitate exchanges of biological materials between organizations in Australia and internationally. The project will assess whether MTAs are reflecting the open data access movement or maintaining traditional closed proprietary practices. The project will make policy, ethical and legal recommendations for the development of MTAs to promote exchange of materials nationally and internationally and to facilitate the developing collaborative research culture. New genetic technologies create the potential for personalized therapies and direct- to-consumer genetic tests. Changes to clinical trials and increased reliance on biobanks and data linkage by commercial entities are predicted. These developments demand ethical, regulatory and social scrutiny. This project will: create a map of personalized medicine in Australia; identify ethical, regulatory and social challenges; assess benefit sharing and public trust issues; evaluate and make recommendations on regulatory and governance measures needed to ensure best practice and highest ethical standards. This will help create better regulatory and governance environments for facilitating responsible research and clinical service delivery in Australia. The Australian biotechnology industry is characterised by many small players that use patents to manage commercialisation of their research. A side effect in such industries that build on complementary innovation is the fragmentation of rights. This can increase transaction and coordination costs and slow or stifle innovation. Patent pooling is a potential tool to free up inherent problems in traditional patent management, but there is a risk of anti-competitive conduct. We propose to: assess how the current Australian biotechnology industry is working; examine whether patent pooling is a feasible/desirable option; and make recommendations regarding the need for regulatory changes to increase benefits and reduce costs of patent management. Dianne welcomes bright and enthusiastic scholars to join her research team. She currently supervises six postgraduate students, who are engaged in research projects in areas of the law ranging from intellectual property to consumer protection and regulation of dog breeding. In general, the overarching theme of their research is the relationship between law and technology. The broad research question that they are asking is: how do we ensure that the law is sufficiently agile and adaptive to deal with new technological developments? Although Dianne's particular focus is on human genomics and biotechnology, she is willing to consider applications from students who have an interest in other emergent technologies. Dianne's students generally complete on time and go on to careers in academia (50% of her past postgraduates) or legal practice (30% of past students).